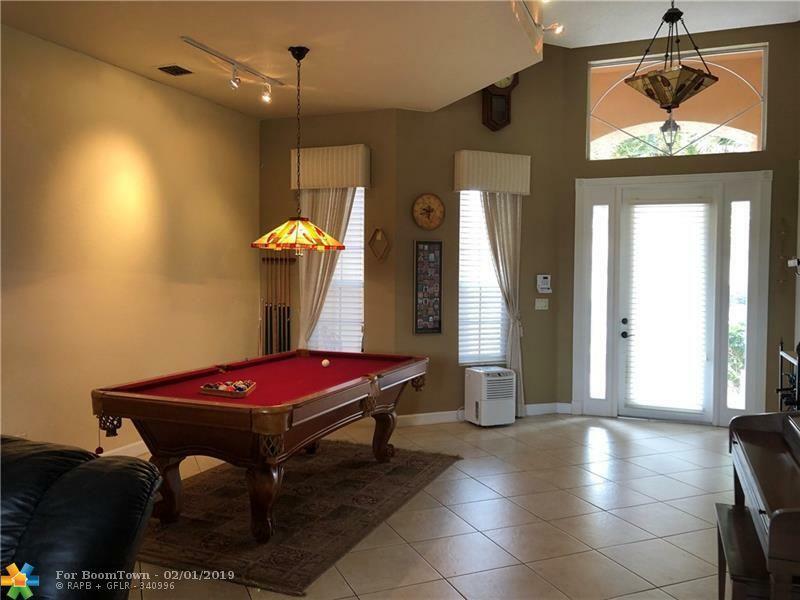 Sprawling home on private 9 hole golf course. 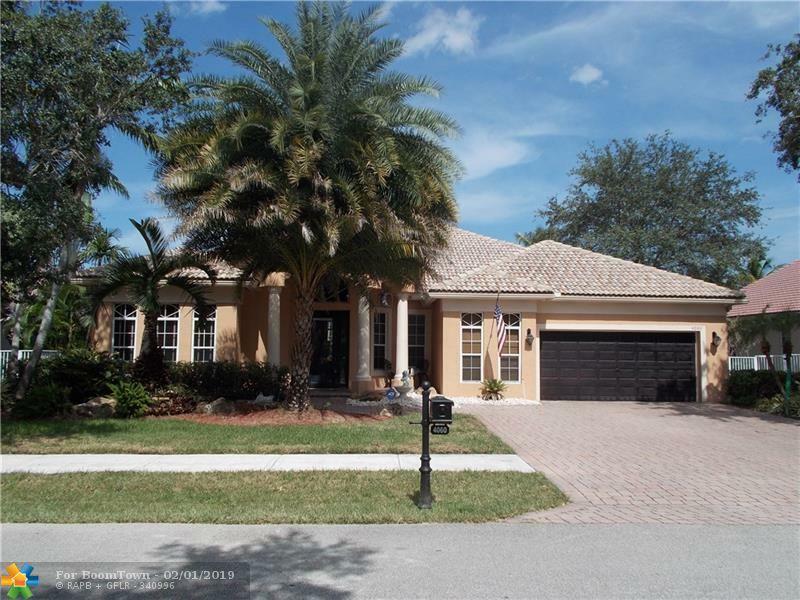 This 4 bedroom, 3.5 Bath, 2 car garage pool home sits with a perfect backyard eastern exposure to the 3rd hole on the community's executive golf course. No membership required, fees included in quarterly maintenance. 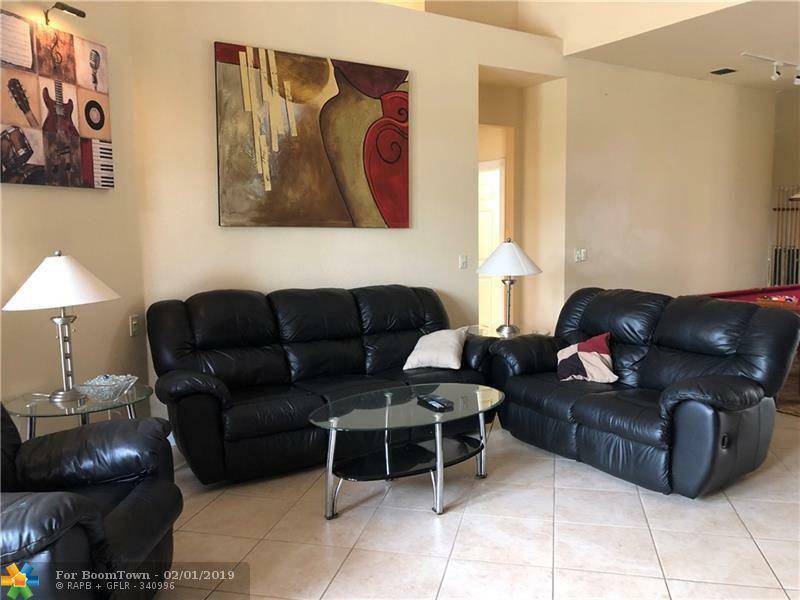 Excellent Location with A-Rated Schools, Manned 24/7 guard gate, Quick access to I-595, 95, FL Tpk, Nova University, Miami Dolphins Training facility & Broward College. 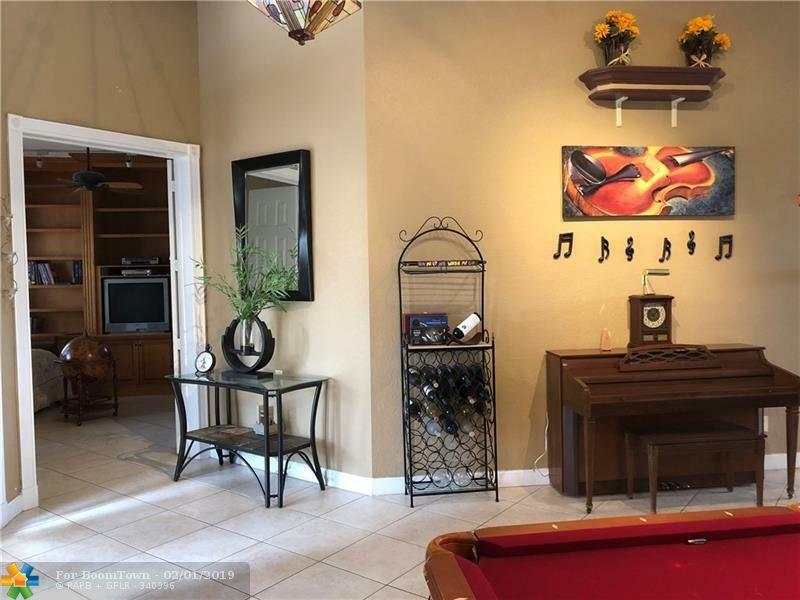 Spacious kitchen with granite counters and stainless steel appliances.